Japan is a very safe country to travel. It pays to watch your pockets in Tokyo but that's about it. In Tokyo you stand on the escalators on the left, Osaka you stand on the right. 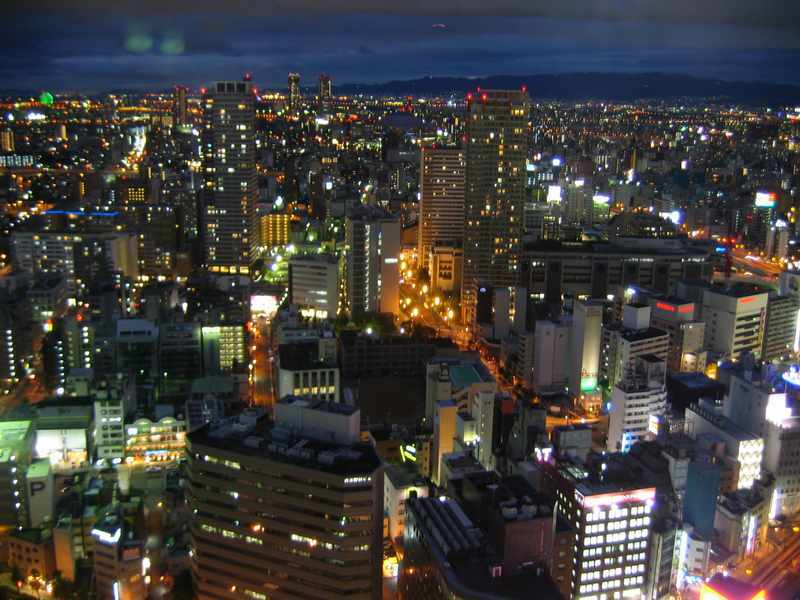 Locals can tell the difference between people from Tokyo and Osaka. The Japanese government has many mechanisms to control the value of the yen. The Japanese have lots of respect for technical people but don't care much for sales people. It's accepted to talk boastfully about your own business. 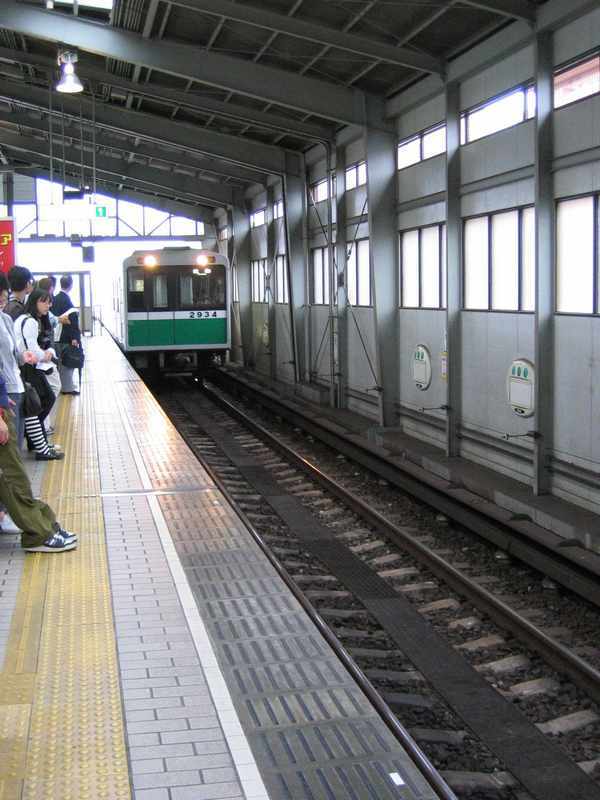 30,000 Japanese commit suicide each year by jumping in front of trains. After work we went back to the hotel, collected our bags and headed off for our hotel near the Makuhari Messe Convention Centre. This meant taking the JR rail train up to Tokyo's famous central station and changing to a different line at a daunting 6pm. 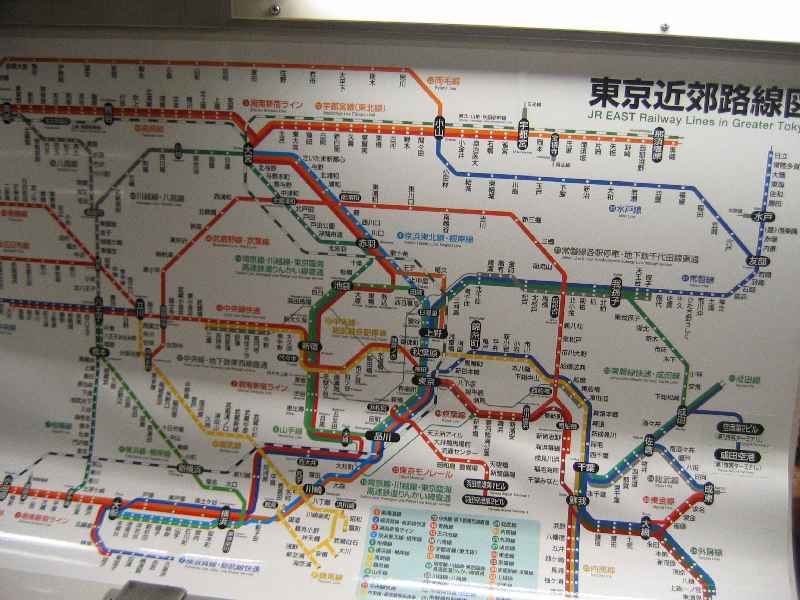 The Tokyo rail network looks like a ball of spaghetti. 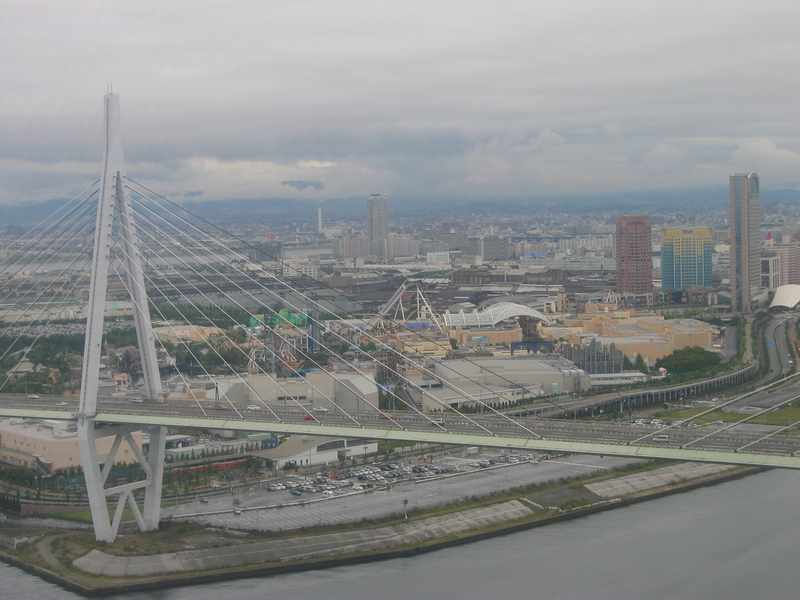 The photo above is of the rail network for greater Tokyo but it shows just the JR East Rail company lines. 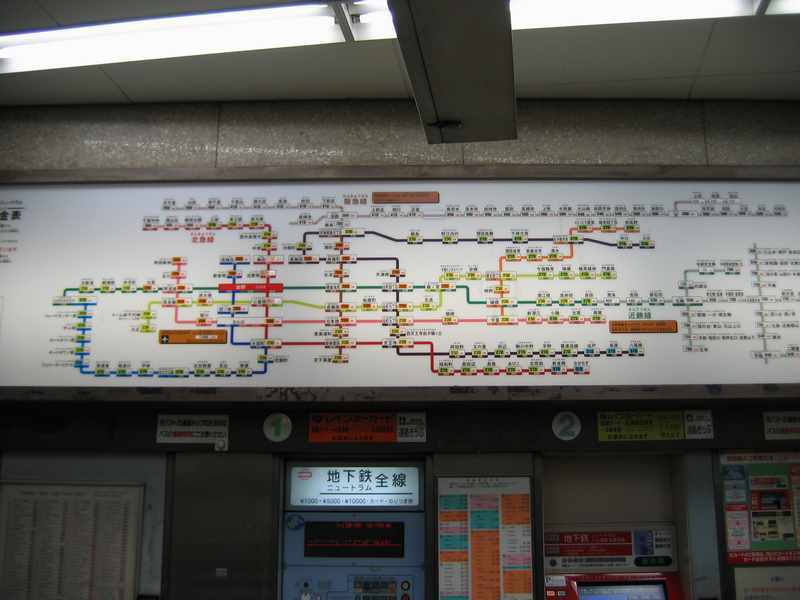 There are similarly crazy maps in the stations of the rail networks for the other rail companies in Tokyo. It's no wonder that they created a service for their mobile phones to tell you which lines and trains to get you from one place in Tokyo to another. When you layer the multiple companies maps on top of each other, combined with the different levels of trains, it has the potential for chaos. Fortunately the maps and signs are generally very good and go a long way to making things clear. Whilst Tokyo central station was certainly busy it was far from utter chaos. 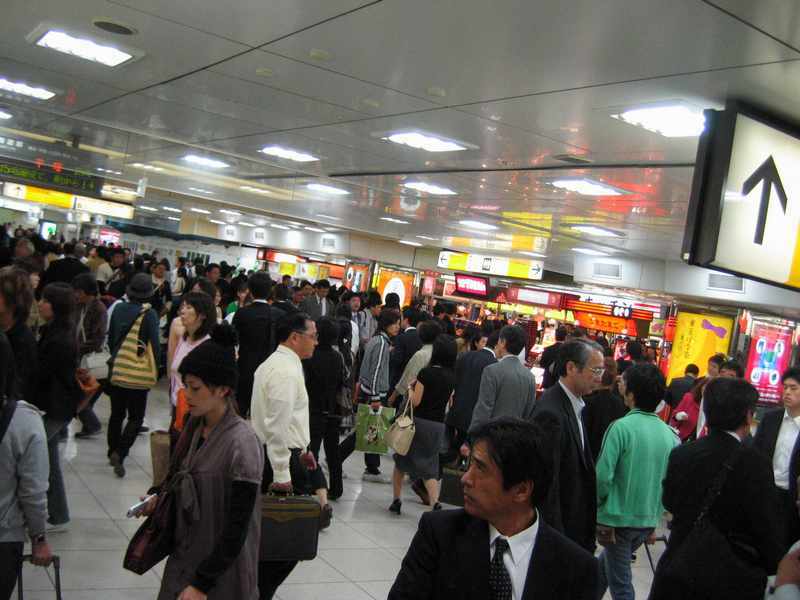 Apparently the Shinjuku station, just to the north of Tokyo station, is the busiest in the world. We made it through the main station, negotiated the 10 minute walk underground to the connecting Keiyo line and boarded our train heading south east. 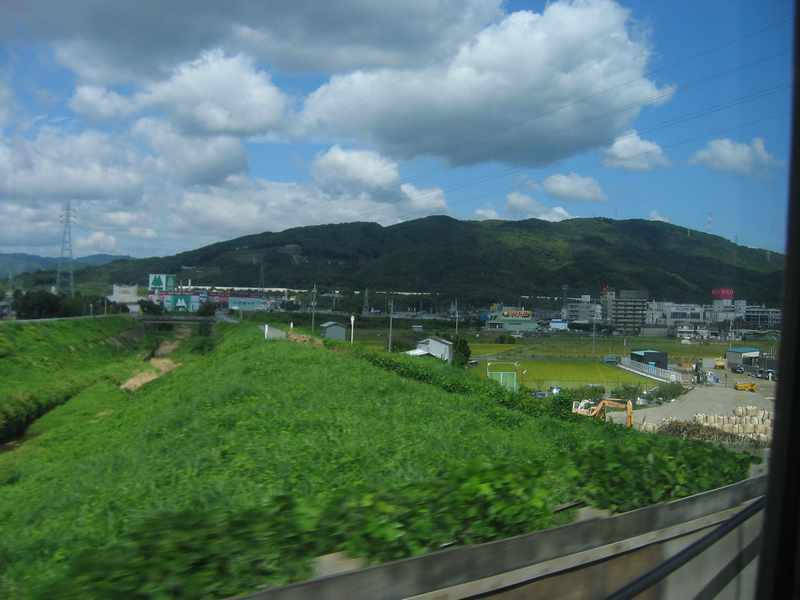 Our train journey took about 1 1/2 hours, hastened by the presence of a chatty, slightly drunk, young Japanese guy. For an hour and a half we were his best friends. Apparently the busiest time at Tokyo station is around 8pm or so, as all the regular businessmen go home from work later than in the west. Are they just being industrious? According to a couple of locals the Japan the women tend to have such tight control over finances that it's difficult to find time & money to hang out with your mates. As such, the men stay behind at work and have a drink, free from the control of their domineering wives. It's so widespread that allowances for this sort of thing are factored into company budgets. Arriving in Makuhari it felt like a town waiting for all the people to come. 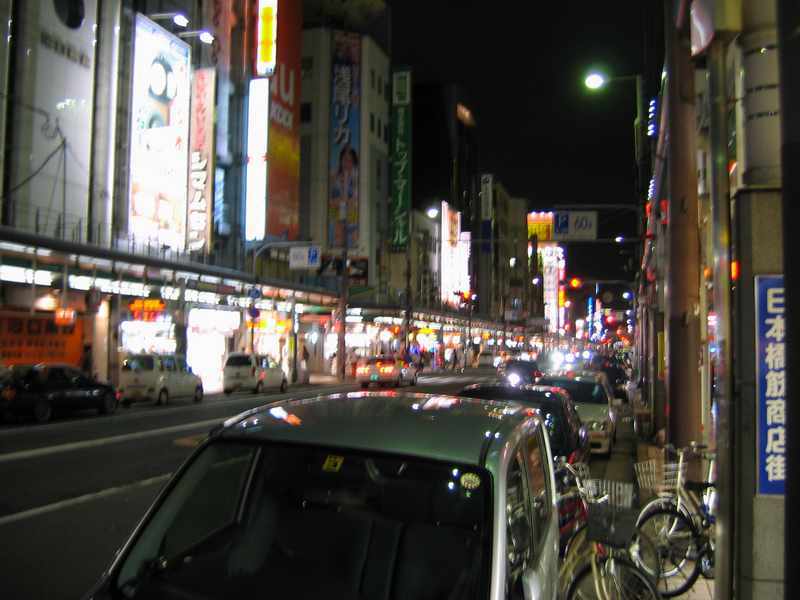 Everything was neat, new, orderly and planned, but it was also eerily quiet after the hustle and bustle of central Tokyo. It reminded me of the Truman Show. For dinner we ate at a restaurant where a gas cooker was located in the centre of the table and the food comes out raw. After deliberating over the completely Japanese menu for an eternity we eventually ordered a range of different things and had a thoroughly scrumptious meal. There's nothing quite like food going from cooker to mouth in mere seconds! 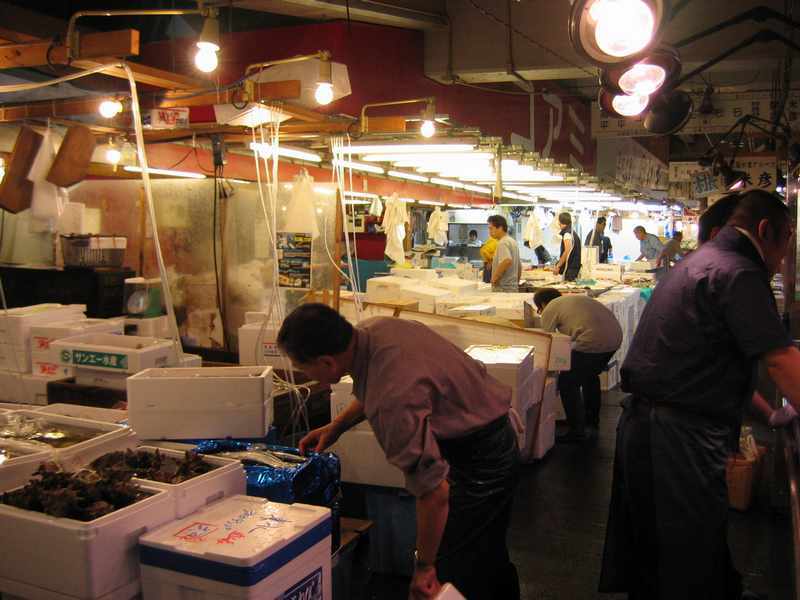 Wednesday was a working day for us, however we made a 6am start to get to the famous Tokyo Tsukiji Central fish market beforehand. Fortunately the markets were only 2 + 2 stops away by subway. Whilst we missed the excitement of the auction (it's very early and not open to the public) the markets were still in full swing when we arrived. 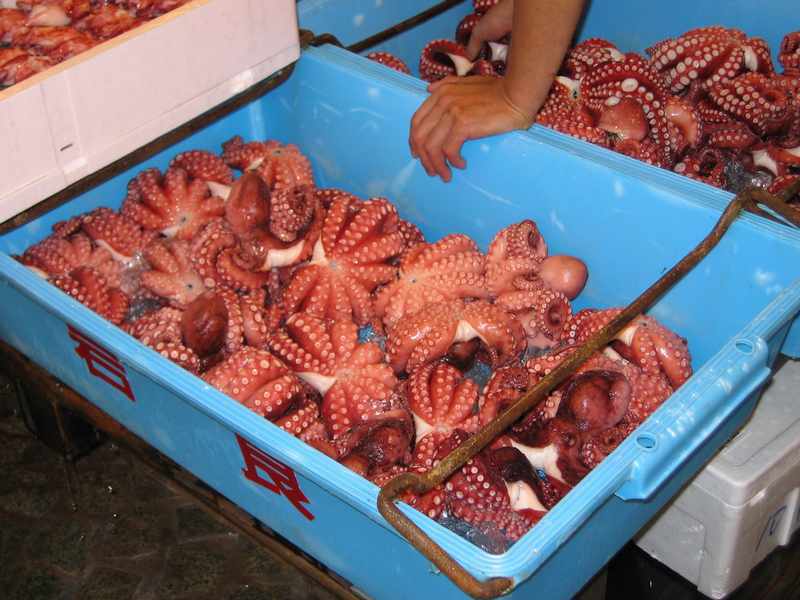 This is where a lot of the sushi and sashimi that's consumed in Japan comes ashore. 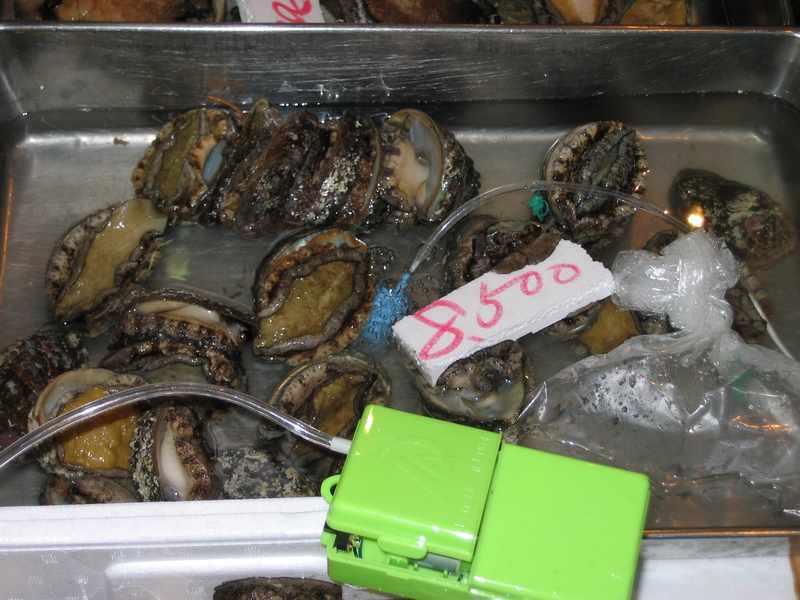 Quite a bit of the fish is exported from here too. Apparently the top shelf hotels and restaurants will send their expert chefs along to the markets to bargain for the choicest cuts. 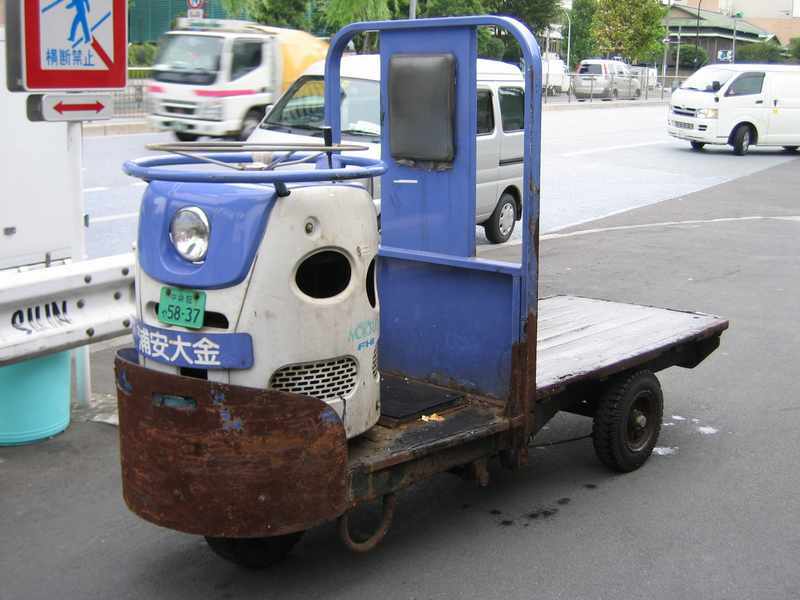 Many people were whizzing around on these small powered carts. The indoor ones were electric and the outdoor models were a mix of petrol and electric. The aisles between the rows and rows of fish sellers were just wide enough to fit one of these carts between them. It was a case of get out the way or get run over as they whizzed by. It was just chaos in places. 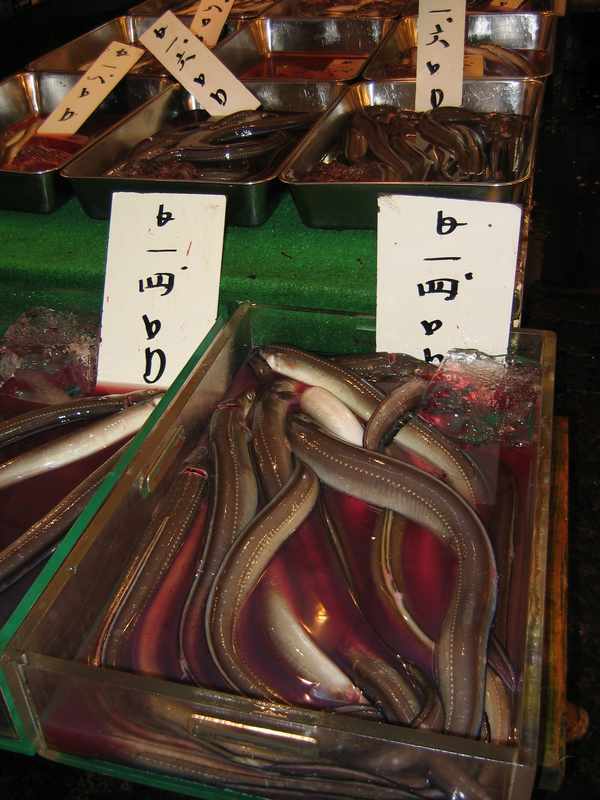 As we wandered the stalls in the markets we saw all kinds of fish that you only read about in books or see on TV. 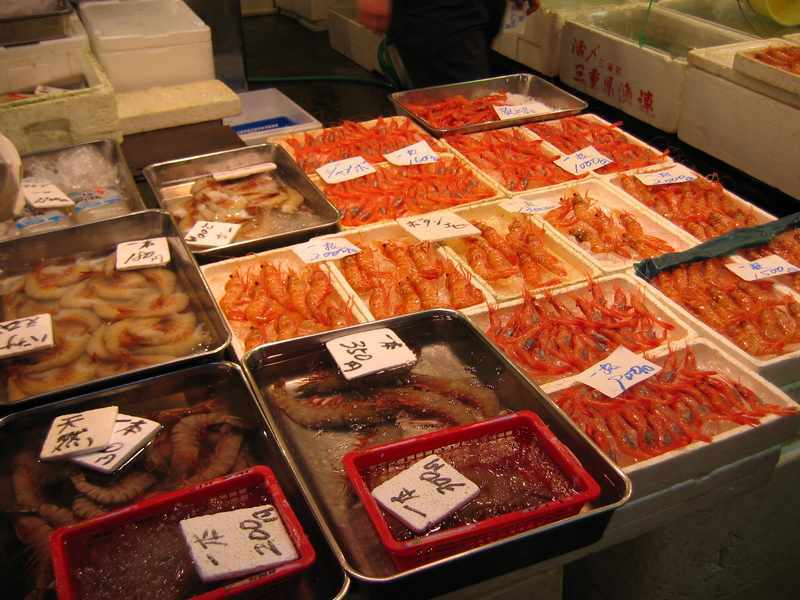 All kinds of scallops, octopus, eels, tuna, squid, salmon, puffer fish (a Japanese delicacy), prawns and so many other types of fish I can't name them all. The workmen prepared the fish with speed and skill. 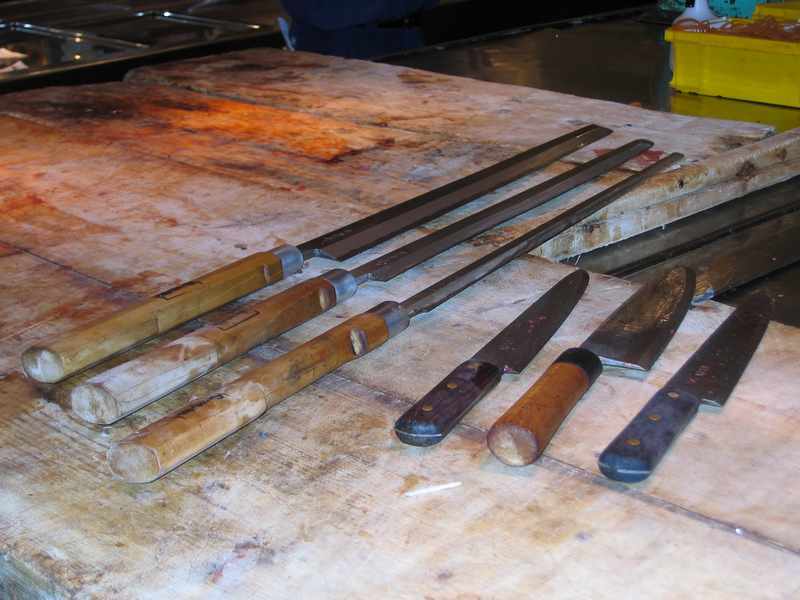 There was a vast array of knives on offer for all the different tasks. 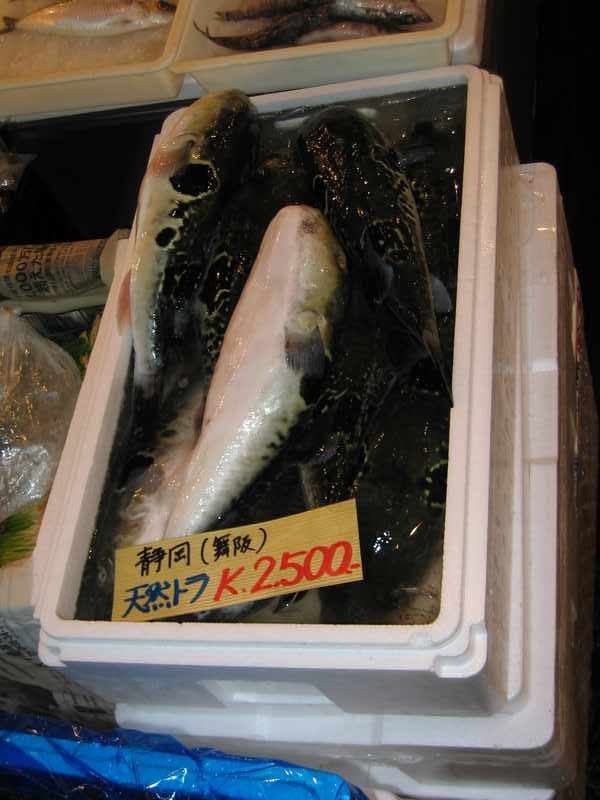 Some stalls had small band saws for dealing with the frozen fish. 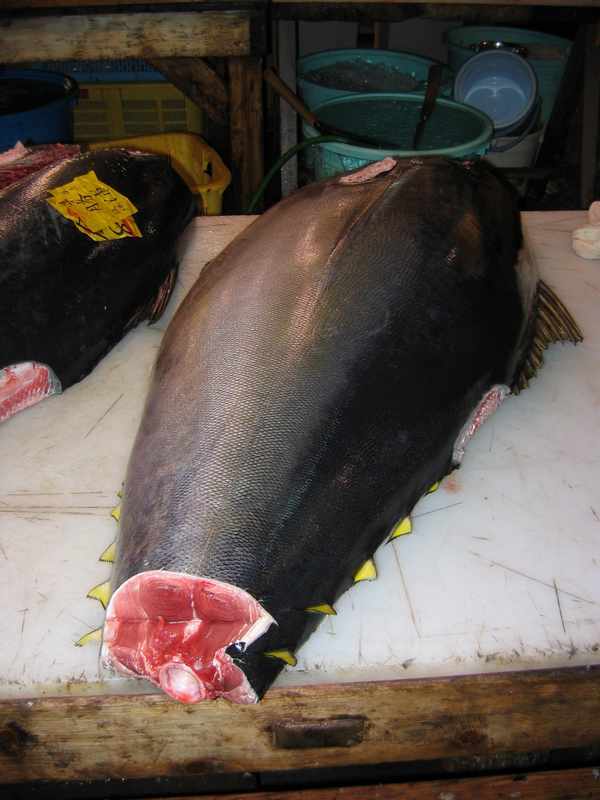 The tuna was particularly significant as it seemed to represent the biggest portion of the fish trade. 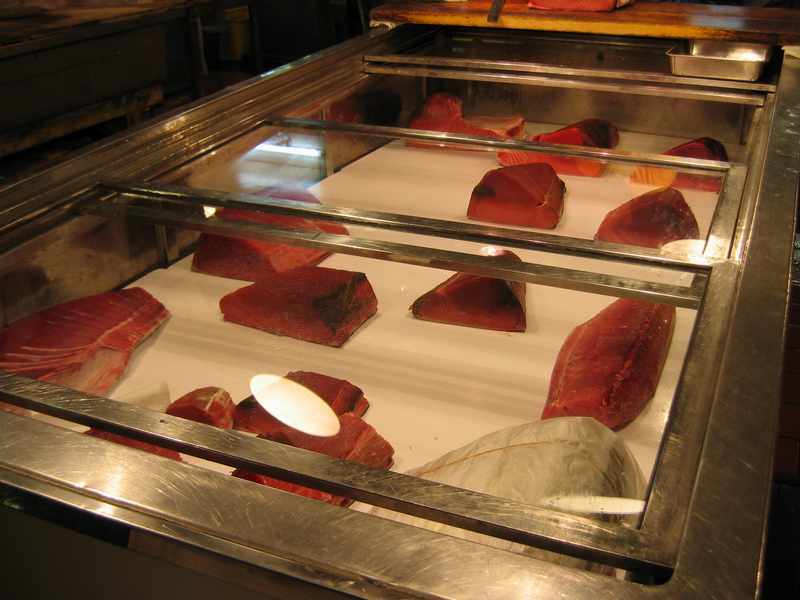 Massive yellowfin tuna are frozen, beheaded, de-finned and gutted. 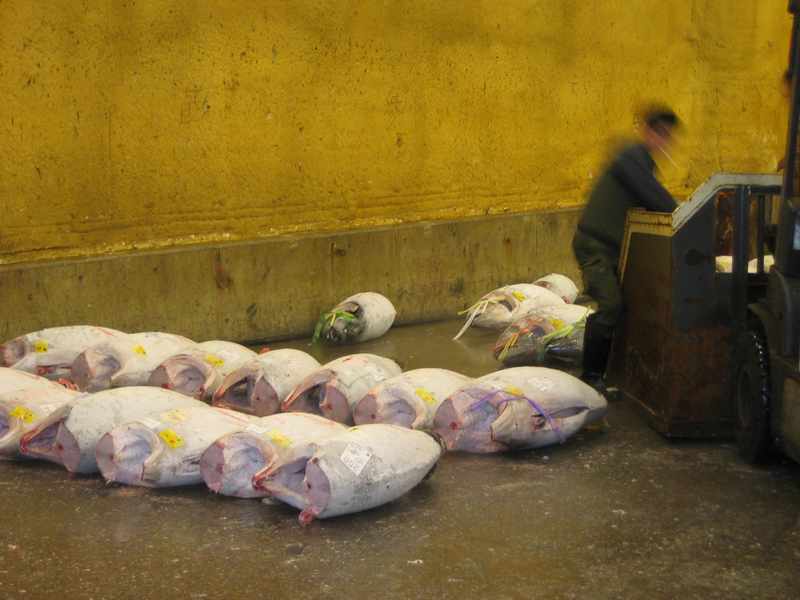 These fish get dragged around by someone using a metal hook before being loaded into smaller delivery trucks. 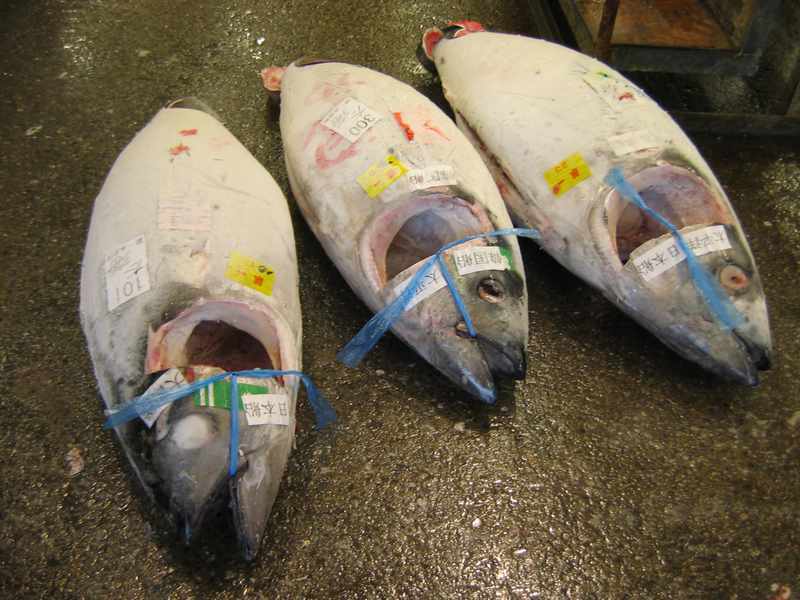 Certain fish seemed to attract a higher value than others. Clearly identifying the premium fish requires a trained eye. Not bad for a weekday morning before work eh? Tuesday was set aside for our leisurely commute to Tokyo. After another mountain of food at the Swissotel we made our way to the main JR station in Osaka via subway to take the Shinkansen. 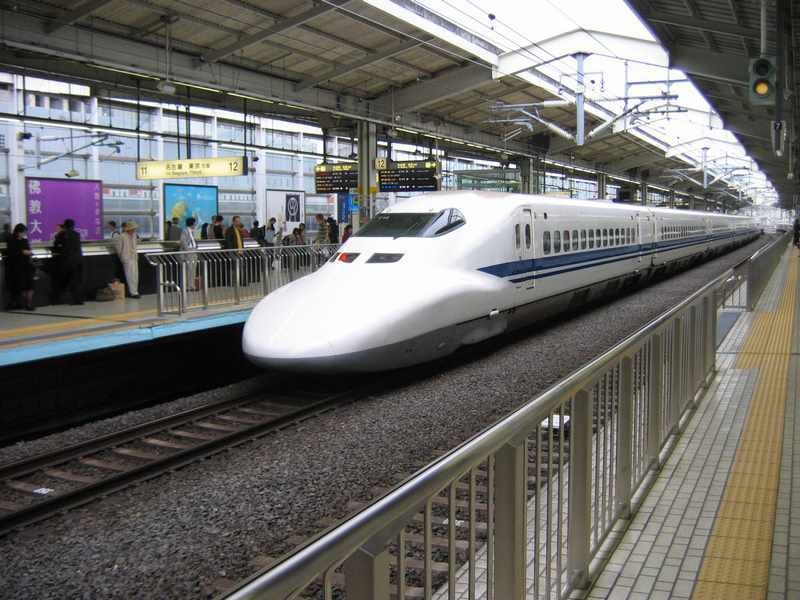 Our 11:19am train from Osaka arrived in Tokyo at 2:13pm. Not bad for a journey that's a full day's drive by car. It's very cool whipping along at 260+ kph most of the time. As we whipped around the bends the wheels glinted against the rails, making some very Matrix-esque sounds, like Agent Smith with a twinge. 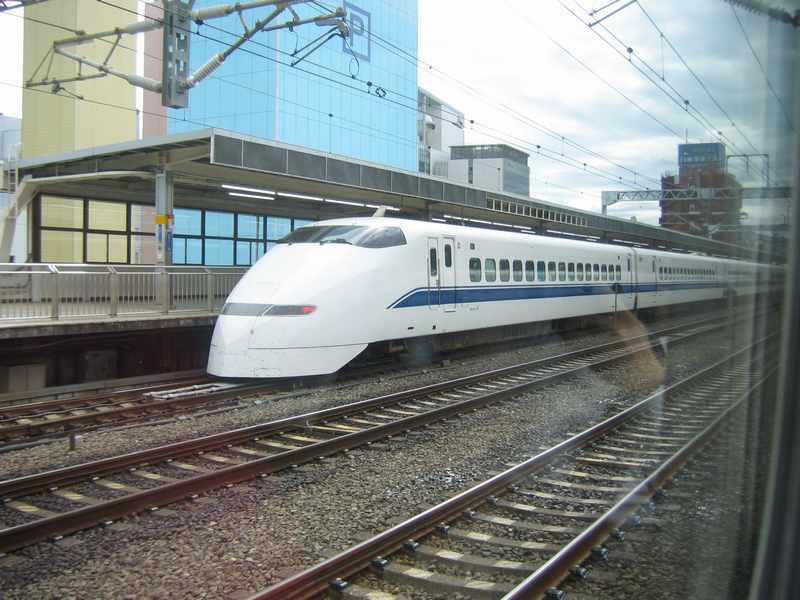 The Shinkansen line is constantly plunging through tunnels or across bridges. The constant pressure changes of tunnels gets a touch irritating after an hour or two but on the whole it's a wonderful way to fly and certainly more convenient, frequent and accessible than taking a plane. Here's a video of a few clips I took along the way. It gives you a bit of an idea of the rate of knots that these things whiz along at. 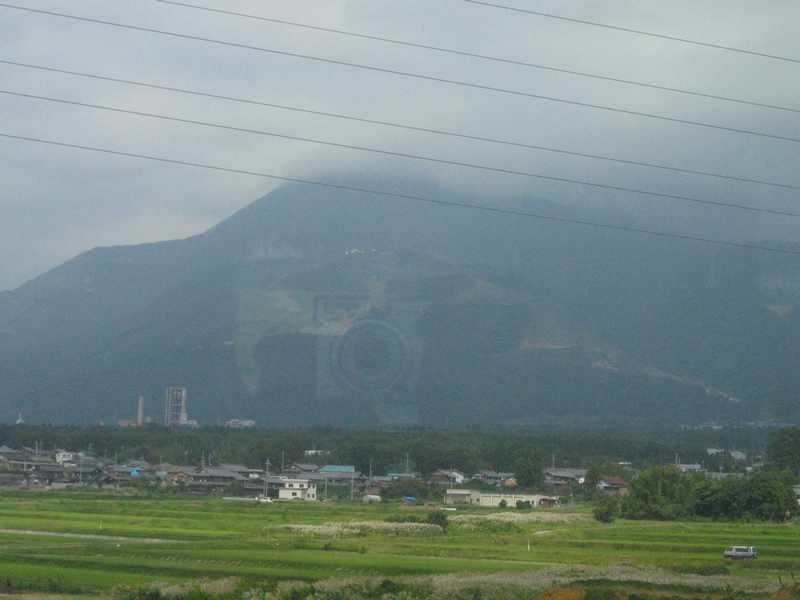 It also gives you a good idea of the landscape around Japan. Mostly it's 2-5 story buildings and anything that's flat has something built on it, the constructions never ending from one city to another. It really does require the PA announcement to tell you that you've arrived at the next city. 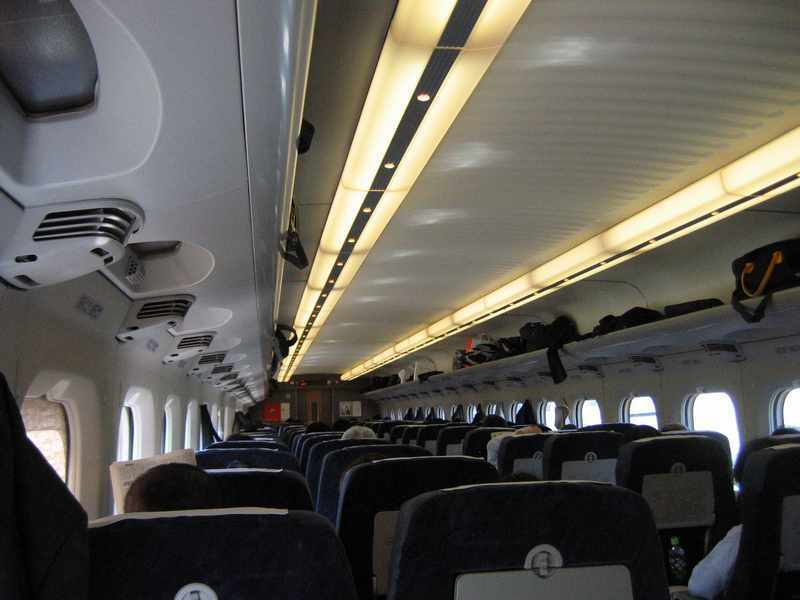 The Shinkansen trains are very clean and tidy but they feel a little dated. They have a real aircraft feel to their interiors. Some neat features include the ability to rotate the seats so that you can face other people you're travelling with. It also enables them to ensure you're always facing forwards without the need for the trains to be spun around at the ends of the lines. It also means that legroom is copious. The only 'mod con' that was missing was an inside speed readout. In the background of the view the mountains rose majestically above, like mountains rising in a sea of houses. Mount Fuji was playing games that day however, hiding away up in the clouds. 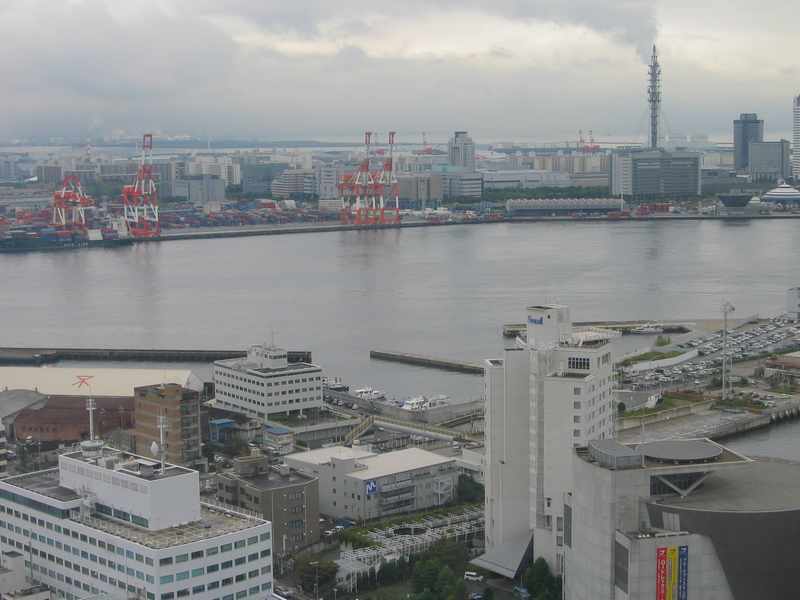 As we approached Tokyo there was no distinct point that the city started. There were a few less factories and the average height of the buildings increased, that was about all. We arrived at Shinegawa station, just south of Tokyo station, bright and energetic. We were staying at the Grand Prince Hotel Takanawa. 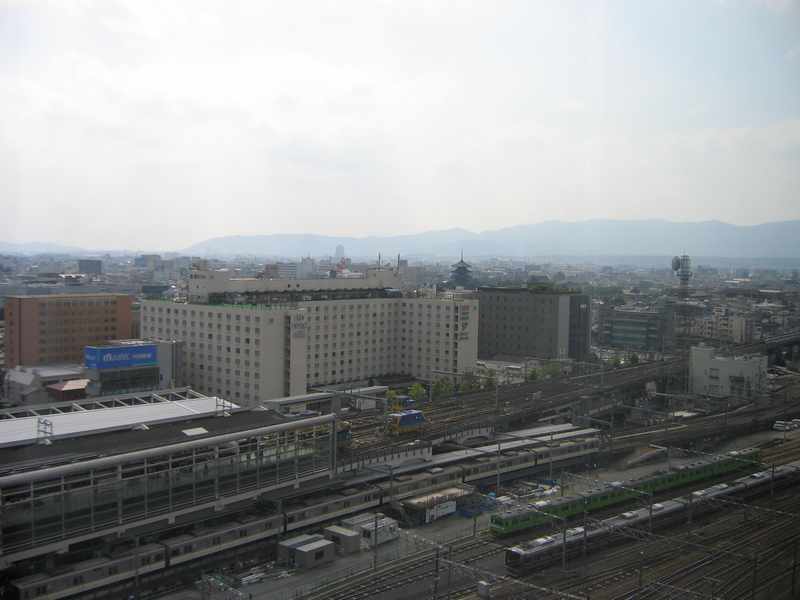 That's not to be confused with the other hotels in the area, namely the Prince Hotel Takanawa, the Grand Prince New Takanawa and the Grand Prince Hotel Shinegawa . We eventually managed to get some help from a woman in the travel centre to get pointed in the right direction, despite not being able to work out where in the centre to get a ticket number for queuing! 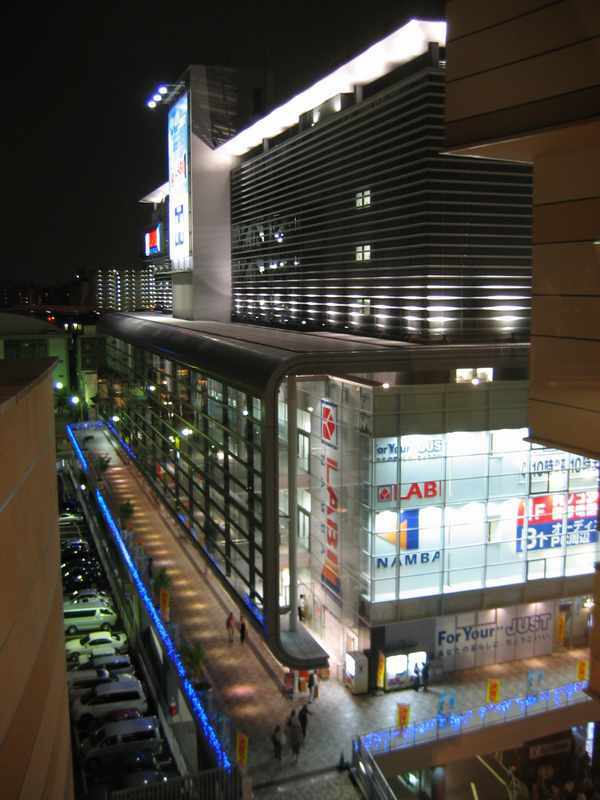 We spent the next 1 1/2 hours trying to get accommodation over near the Makuhari Messe Convention Centre, where the CEATEC exhibition was being held. It was about 1 1/2 hours travel from where we were staying our first night so just staying put in our Prince hotel wasn't really an option. All our efforts on the Internet (fighting Japanese keyboards) or telephone were fruitless until I managed to get some wonderful help from two of the Guest Services women in the hotel. Despite all the hotels within a 500 mile radius of Makuhari being booked out she managed to come up with two options within 10 minutes walk of the convention centre. 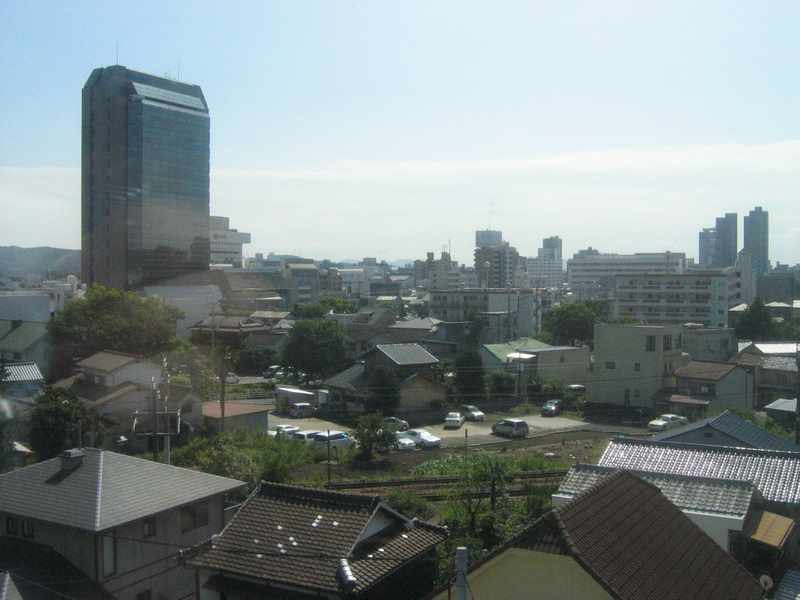 The first one was 50,000 yen per night - pass. The other was a much more reasonable 22,000 yen per night, so we went with that for the next 3 nights. Quality service in action! Monday morning, after another full-featured breakfast at the Swissotel, Mark & I headed off for work. Our directions were to take the train for a while, interchange to a second train and then take a taxi to the office. Fine. After a quick check with the hotel concierge and map in hand we ventured forth. After trundling along on the train for a while and not seeing our stop we started to think that we might have missed our stop. We were also seeing train station names that weren't on our map. After a few stops of debating this we alighted to inspect a map on a train platform. Sure enough we'd gone flying past our desired interchange stop a way back, easily fixed but for the time penalty incurred. This mix-up was explainable after a little investigation. On the lines we were using there was 6 different grades of train, from local (all stops) to full super express trains (almost no stops). To make our interchange station we needed to use a local or semi-local train and we'd jumped on a mid-level express. 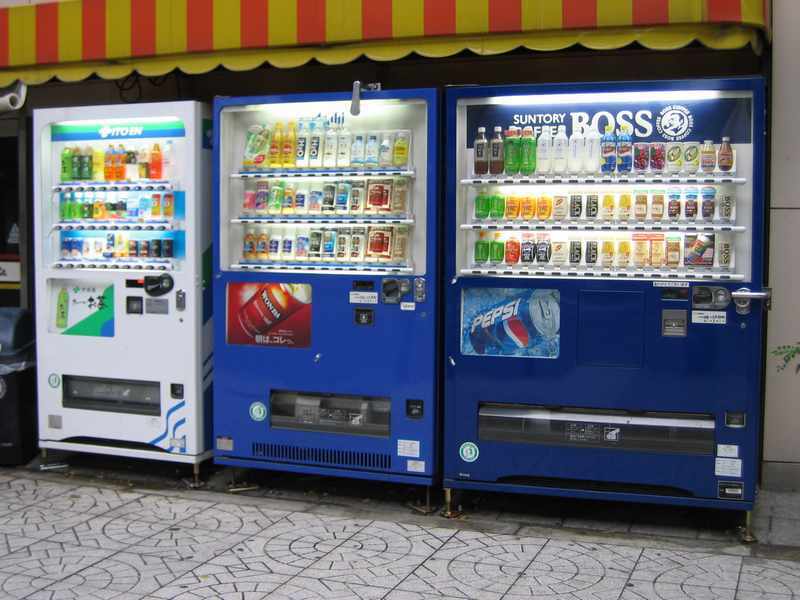 On the train platform, and practically everywhere in Japan, we kept running into vending machines. They seemed well patronised too. Once we exited the train station we took one of Japan's ubiquitous black taxis to the office. As we approached the taxi at the rank the driver opened the door for us without even leaving his seat, the door opening electro mechanically. Our 5 minute taxi ride cost us 1000 yen (A$10). To get our lunch at the office we had to purchase a ticket from a vending machine and then hand it over at the counter. The canteen lunch served up rice and Japanese curry, miso soup, tofu, cold noodles and some little vegetable things I couldn't recognise. Whilst it was OK I could see it wearing a bit thin after a few repetitive weeks. After a heavy day of meetings we were given a lift all the way back to the hotel by our colleague. She was driving a Lexus IS350 and it had the most amazing satellite navigation system I'd ever seen. She simply punched in the phone number of our hotel and it automatically selected the correct path, even plotting a path around some areas of congestion. The sat nav had a very large touch screen interface and all it's instructions were timely and non-intrusive. Our colleague's car was also decked out with a radar detector. It would not only tell when a radar detector was ahead it would also tell what kind of radar detection system was being used. 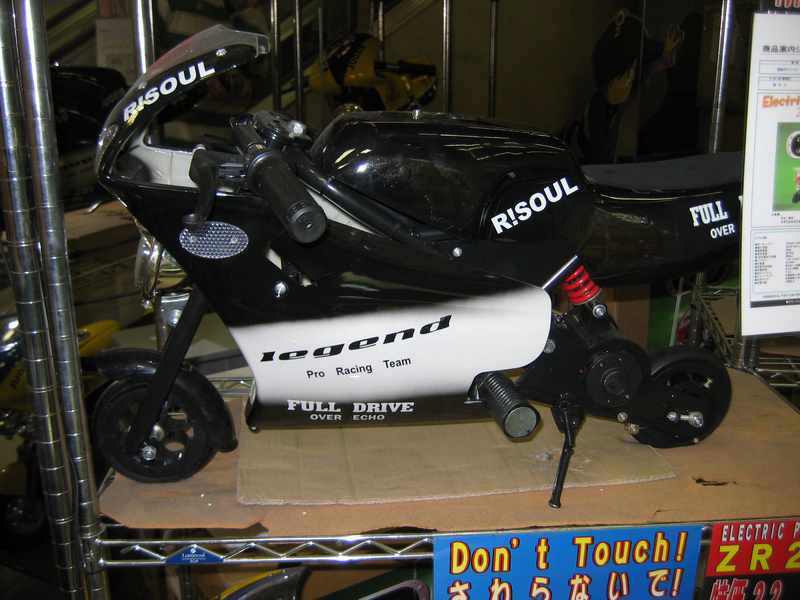 It seems the Japanese have a bit of a penchant for speeding. We discussed cars a little as we travelled, particularly Japan's desire for everyone to have a car that's less than 5 years old. There still were old cars on the road, but they were few in comparison to all the new ones on the road. Basically the value of a car in Japan after 5 years is zero. A dealer will not give you anything for it at all, except to take it off your hands. One of the incentives to encourage people to buy new cars is the very comprehensive vehicle inspections that need to be done every 2 years, starting at 3 years old, which cost a small fortune (a couple of thousand AU$ each time). Over the evening we wandered into America town near our hotel where there was lots of noise, cigarette smoke and pachinko slot machine gambling houses. The pachinko parlours are a whirlwind of noise, smoke and colour as the locals unofficially engage in what is unofficially gambling. We found a small local restaurant up some stairs somewhere nearby and had some cheap noodles for dinner, setting us back 2500 yen for 3 people, probably one of our cheapest meals for the whole trip. Sunday dawned with light drizzle but that wasn't going to stop us on our first full day exploring Osaka. After a simply amazing international buffet breakfast we braved the Osaka rail system. Fortunately the Osaka city maps we'd picked up at the tourist office had English names for all the train stops, as did the train stations. The only confusing part was that the trains were run by more than 1 company and our JR passes were no good here, so we had to buy tickets. Where were we going, you may ask? 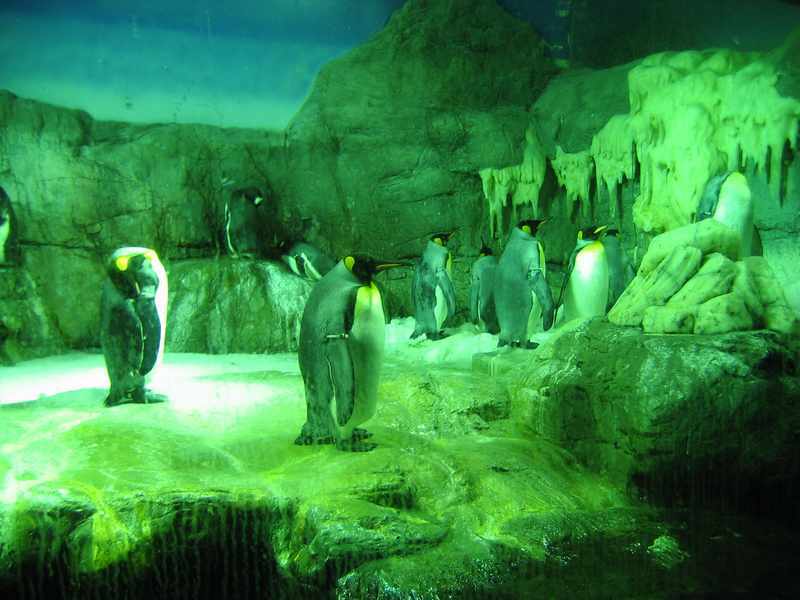 The Osaka Aquarium. On the way we bumped into an Aussie family who told us that Port Adelaide had gone down in a screaming heap in the AFL grand final. 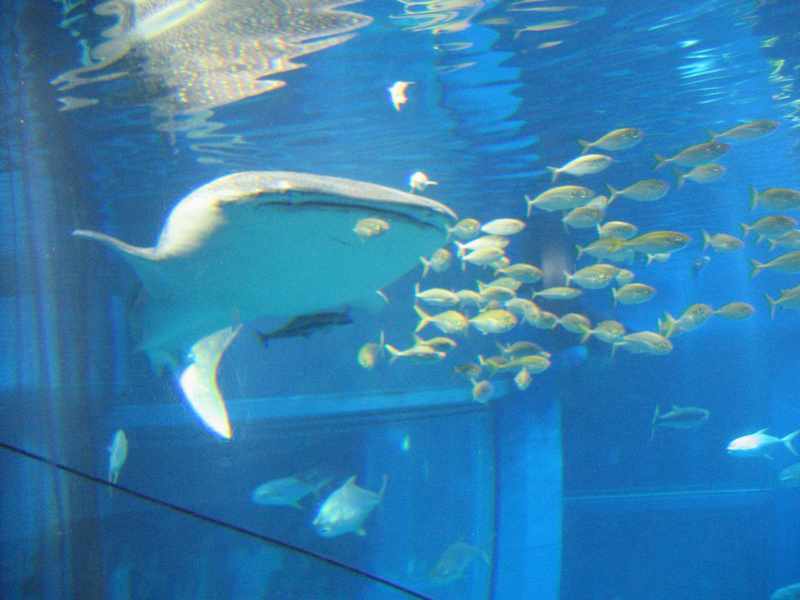 The Osaka Aquarium was a huge facility. 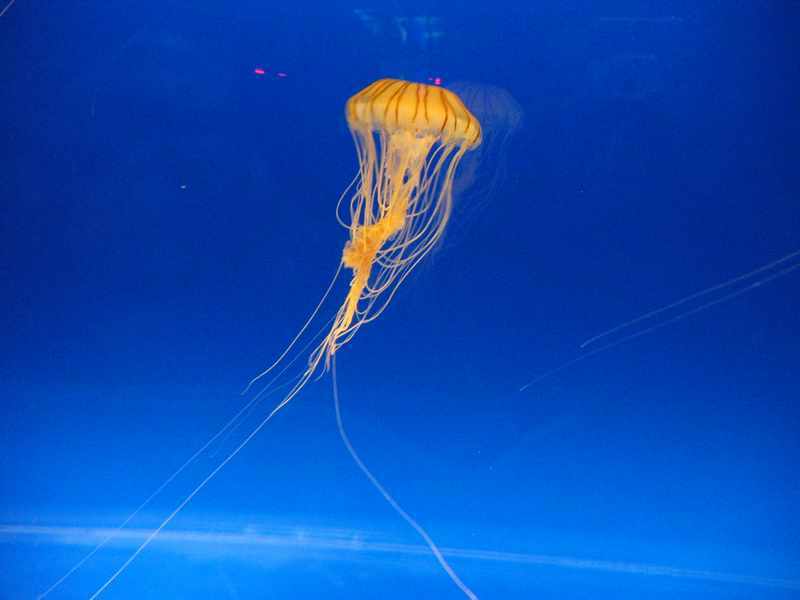 There were hundreds of displays and tanks devoted to sea life. Spread over about 8 floors are displays all relating to 'The Ring of Fire/Life', otherwise known as the periphery of the Pacific Ocean, such as Monterey Bay, the Gulf of Panama, Antarctica, the Tasman Sea, the Great Barrier Reef, the Coast of Chile, etc. In total there were 17 dedicated exhibition areas. 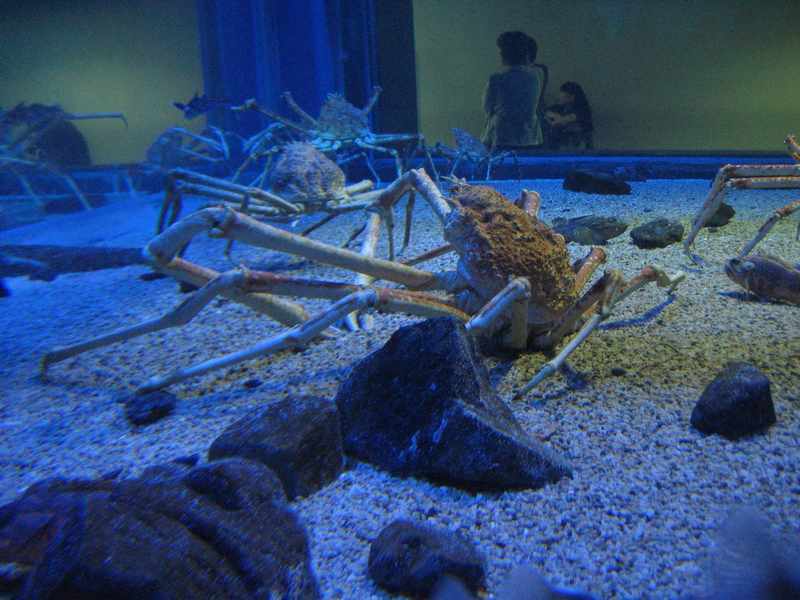 The centrepiece, or 'centre tank' in this case, was a Pacific Ocean exhibition in the centre of the building. The statistics were quite impressive. 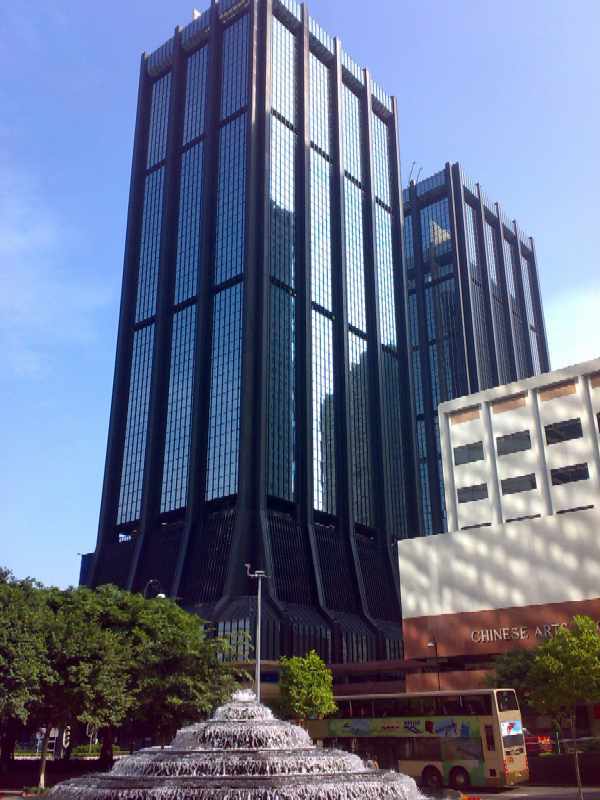 The glass is acrylic and 30cm thick and there are 103 panes, weighting a total of 314 tons. 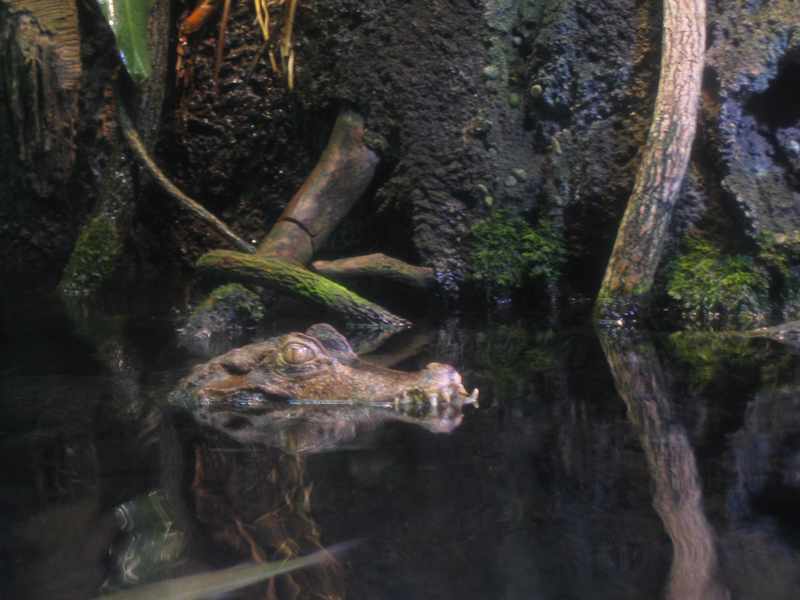 The water is 9m deep, which is enough to spread over 3 floors and it weighs 5,400 tons. 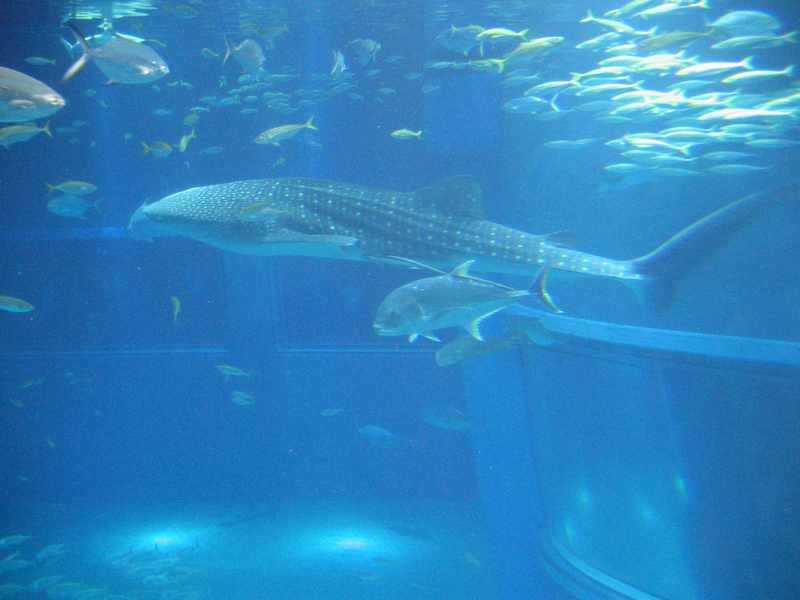 Inside they have a whale shark (the star attraction), manta ray, blue fin tune, white tip reef sharks and hundreds of other sea-living creatures. The Japan Deeps tanks were particularly interesting. The creatures were quite other-worldly. 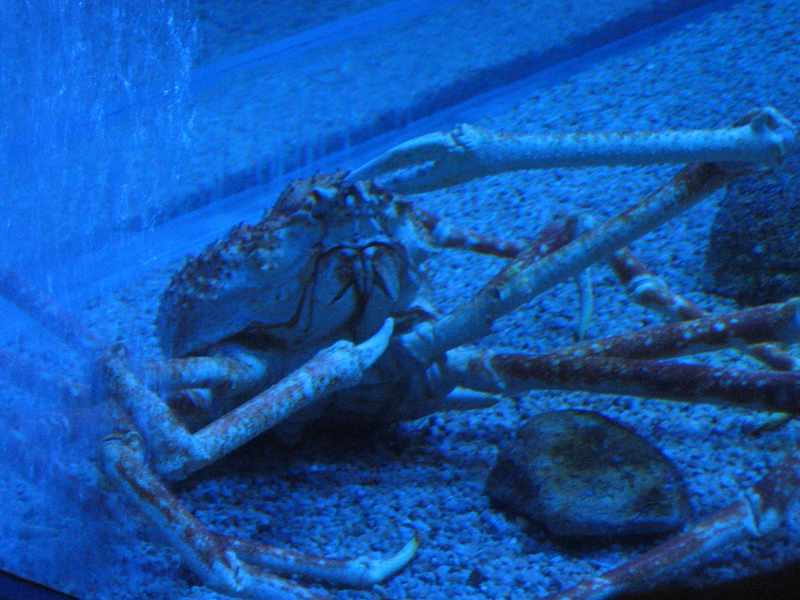 The Giant Spider Crabs are the largest known species of crab in the world. 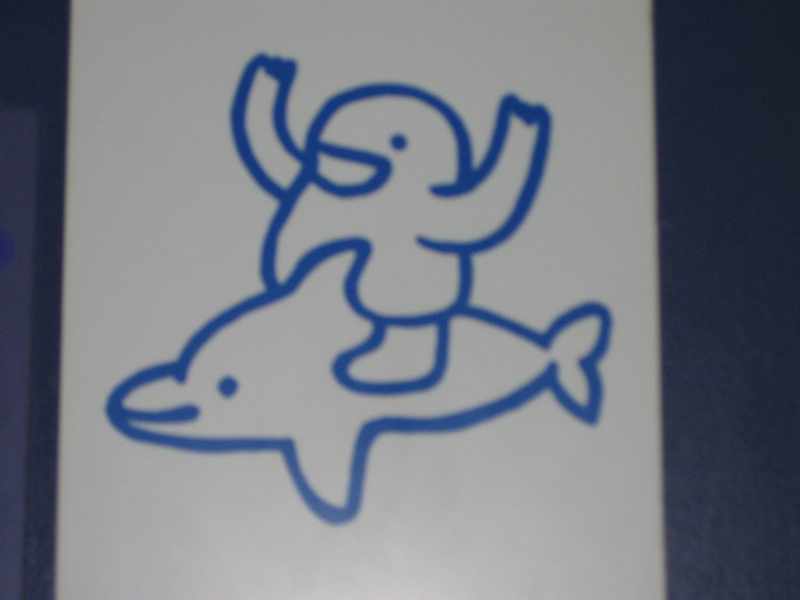 They just sat there on their haunches. One of them even felt relaxed enough to pick his nose. 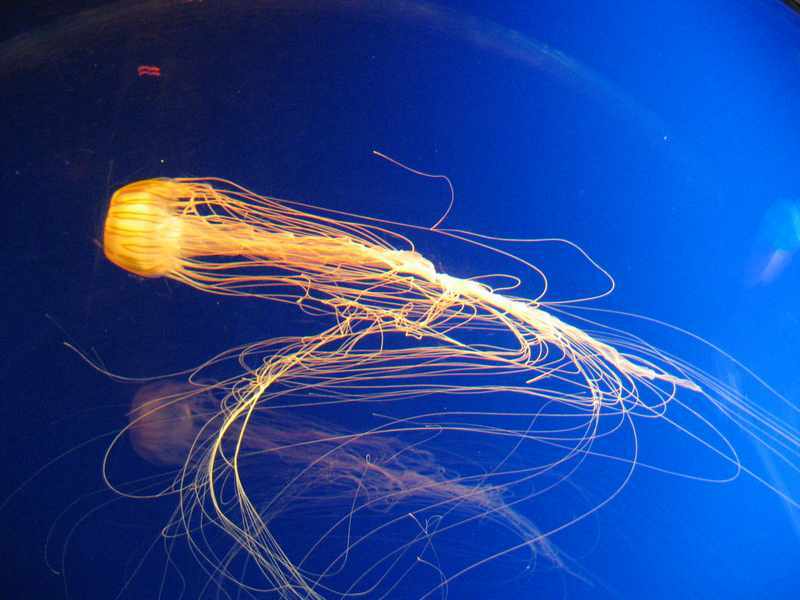 The jellyfish were a particularly well-presented finale to the exhibition. The colours were just beautiful as they gently glided by, trailing their poison-laden tentacles along innocently behind them. 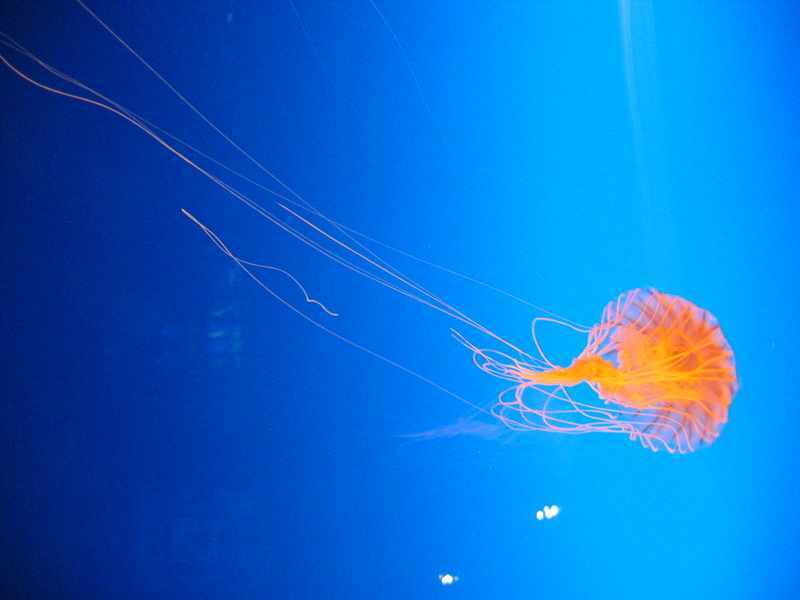 There were some particularly tiny jellyfish on display which were doing a good impersonation of small button mushrooms. 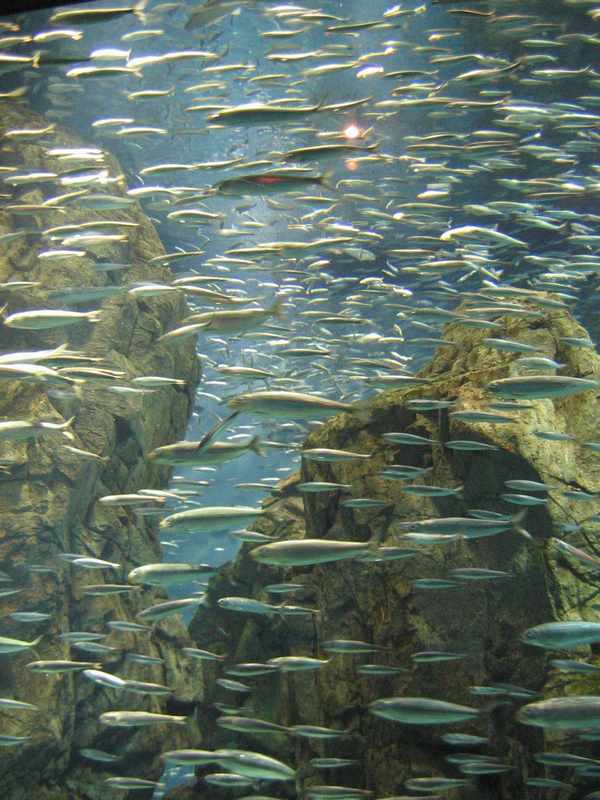 One really pleasing aspect of the aquarium was that all the fish looked healthy. 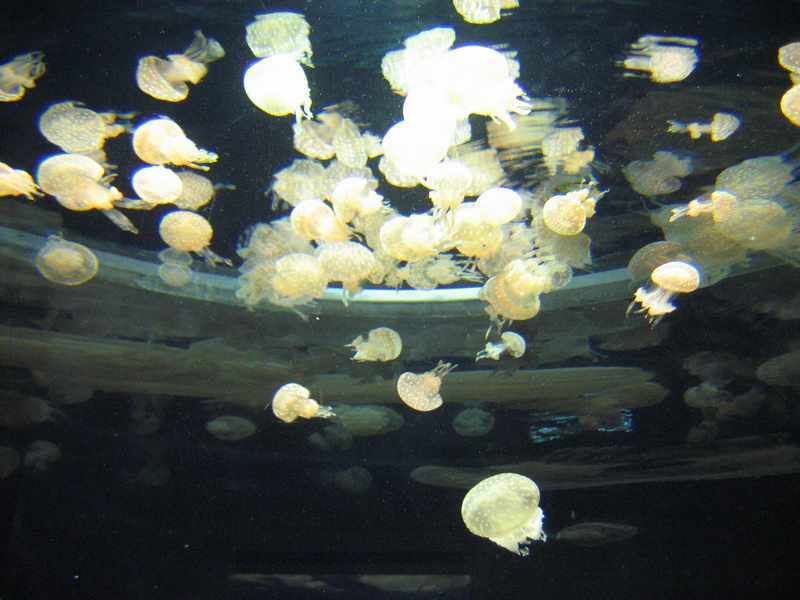 They were all swimming merrily and everything looked clean and healthy. A lot of thought had gone into what plants and fish were in each tank. 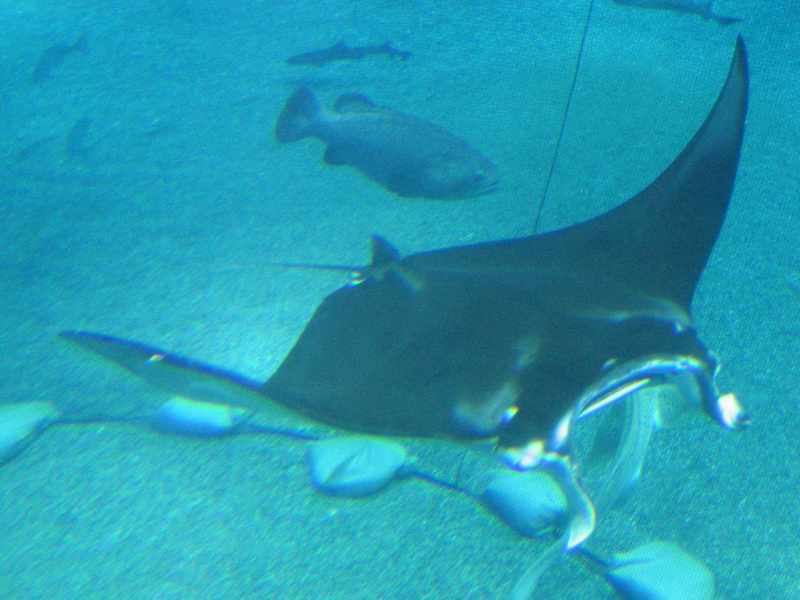 The only unhappy-looking fish was a large sunfish who's swimming space was confined by a net. It was a great opportunity to witness some of these majestic creatures in the flesh. The next stop was lunch and we went to a local Japanese style place in a nearby shopping centre. This was a shoes-off affair where we sat at floor level. We each ordered different lunch sets. Mine came out and everything was raw. Fortunately a small burner was also part of my set, allowing me to cook my own meat and then eat it instantly. The standard fare of Miso soup wasn't too bad either. The menu was full of Engrish, even this reminder of human nature. 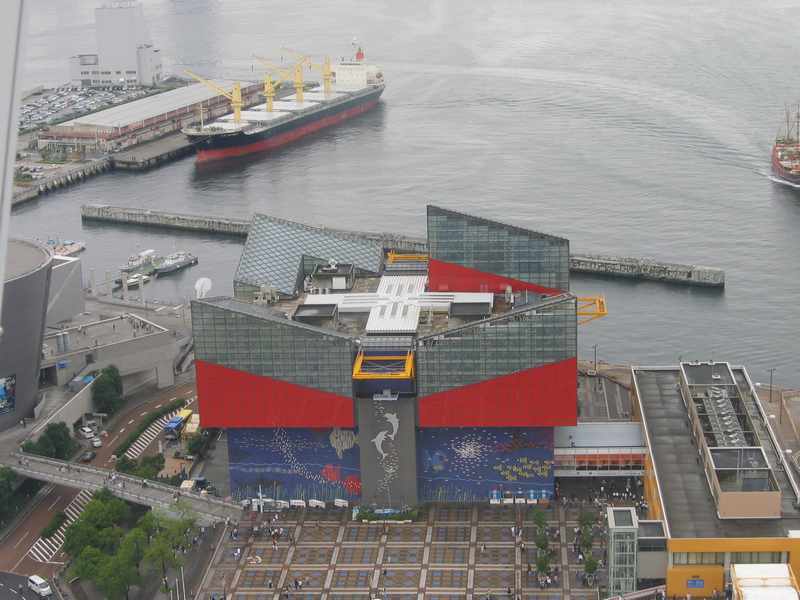 Right next to the Osaka aquarium was a huge Ferris wheel. This gave us great views over the city however the overcast weather dampened that slightly. 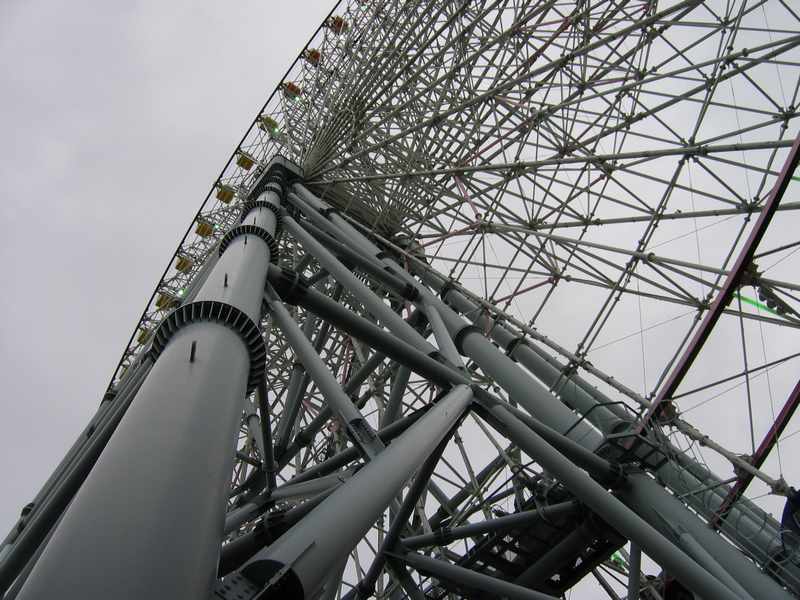 At 112m high it's one of the largest Ferris wheels in the world. As we headed back towards our hotel we decided to pop out at a random stop to see what was on the surface. This turned out to be a huge flop as it was a business district. About the only interesting thing we saw was dozens of vending machines. We stopped of at a small supermarket to try out some of Japan's crazier foods. 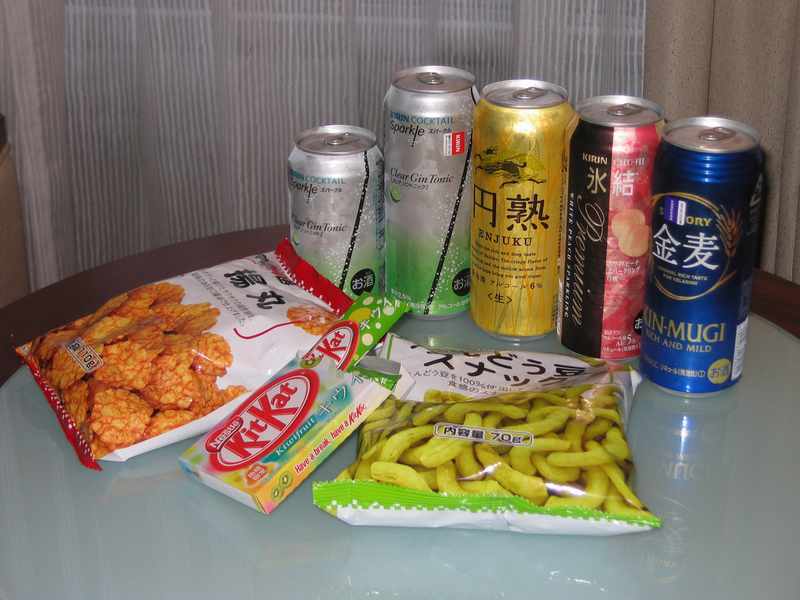 Here we bought some green bean flavoured crisps, some spicy rice snacks, kiwi fruit flavoured kit kat, 2 Japanese beers, gin and tonic and a sparkling peach drink. All in all, very weird and good fun. After a rest we wandered around DenDen town, the electronics area of Osaka. Here there were crazy, crazy shops selling all kinds of things. Surprisingly the memory cards were more expensive than Hong Kong. Cameras and the like were cheaper than Australia but not by much. There were plenty of shops selling computers, bright LEDs and all such similar stuff. 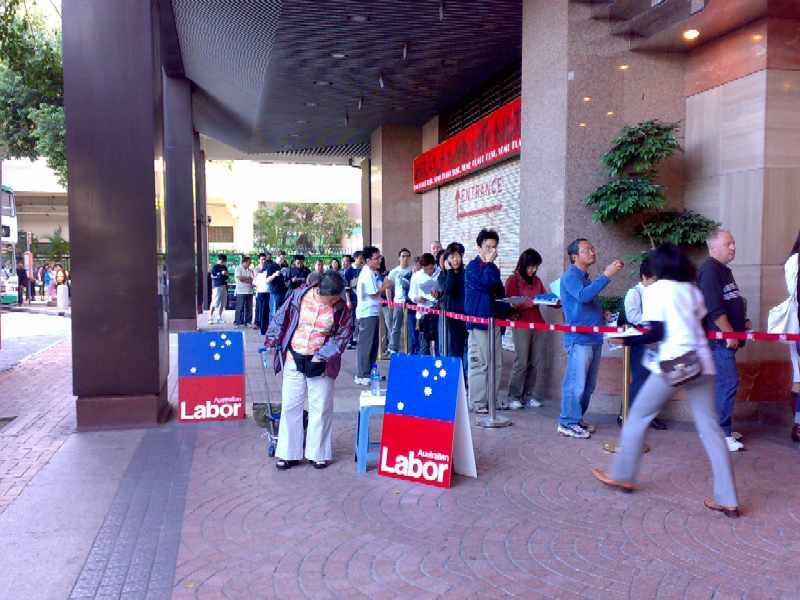 There were heaps of shops selling Japanese Anime, not all of it worth taking an interest in, if you get my meaning. We ended up at a computer store where we purchased a power cord for some work equipment for 30 yen (AU$0.30). Bargain. We went to the Parks shopping centre for dinner. It's a 5 or 6 story shopping centre that's full of curves and is covered with trees. It's designed to look a bit like a hillside, hence the name. Being mindful of the varying prices here, we at at a restaurant that was full of locals. In The Parks was a huge shop called Namco land. 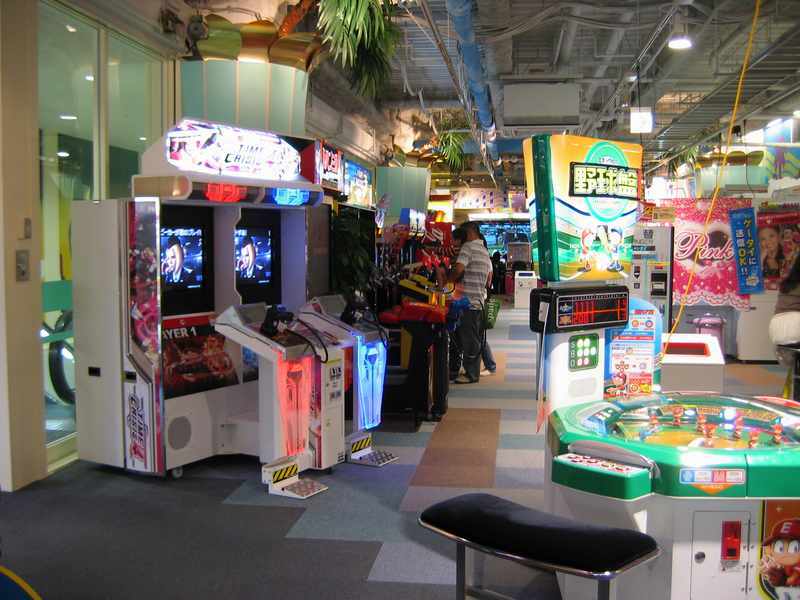 Basically it's a shop full of games for people to play to try and win money. This included everything from giant boggle machines to electronic horse racing. 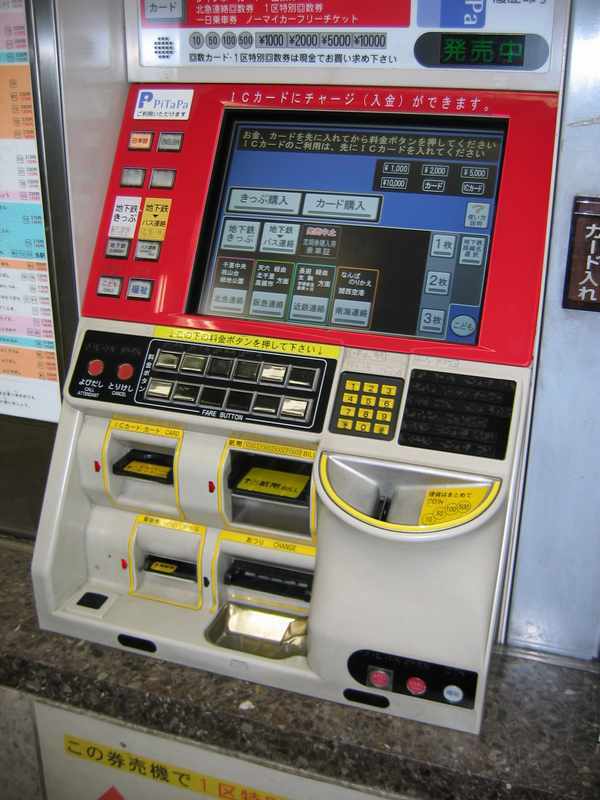 Gambling is illegal in Japan but there's a way around the system. 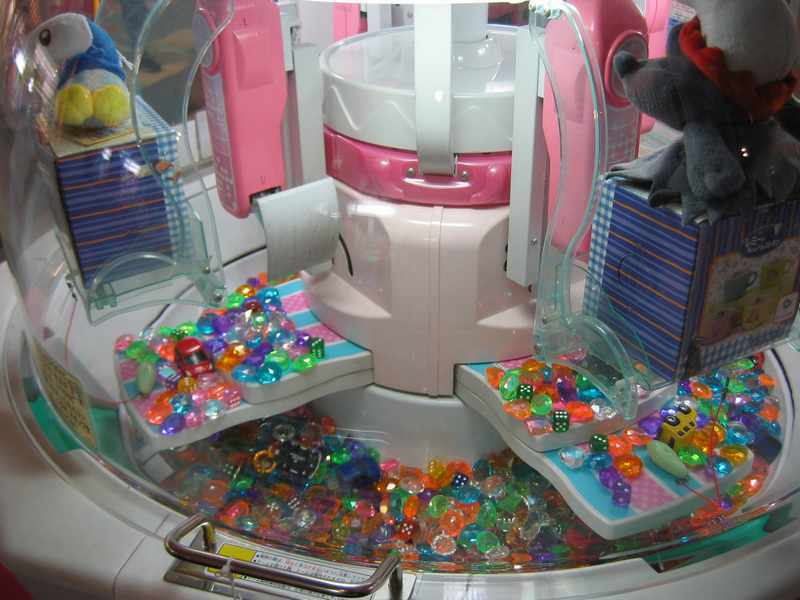 Basically the people play at these kinds of shops and they win a prize, such as a teddy bear. 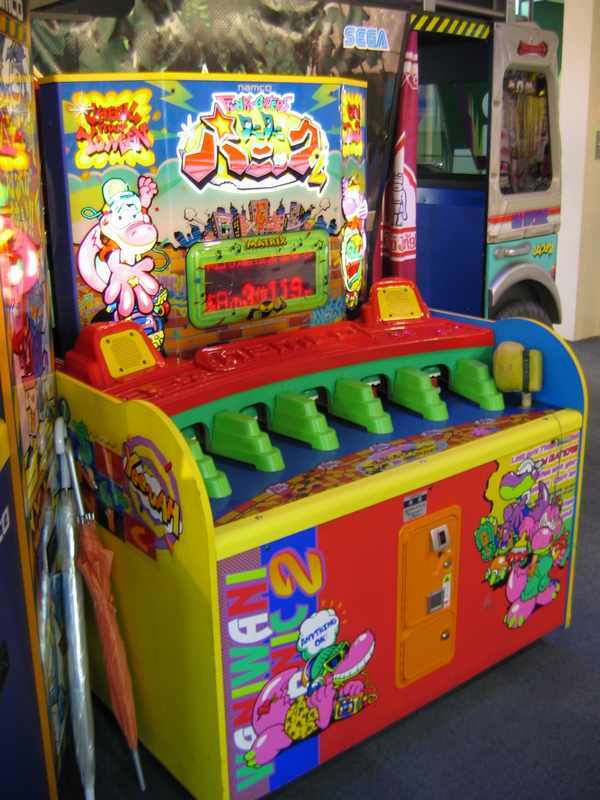 They then take that toy to a small window/door somewhere else in the building where the toy is exchanged for cash. Why don't the police stop this, you may ask? Well, they're the ones running the show.